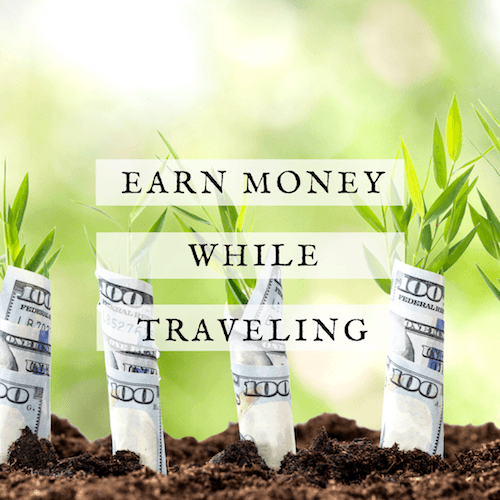 Looking for creative ways to make money while traveling? Or are you wondering how to make money online or from home so that you can pay down debt and save up for your dream vacation? One of the most popular questions I hear as a full-time RV living family is how to earn money remotely or online. 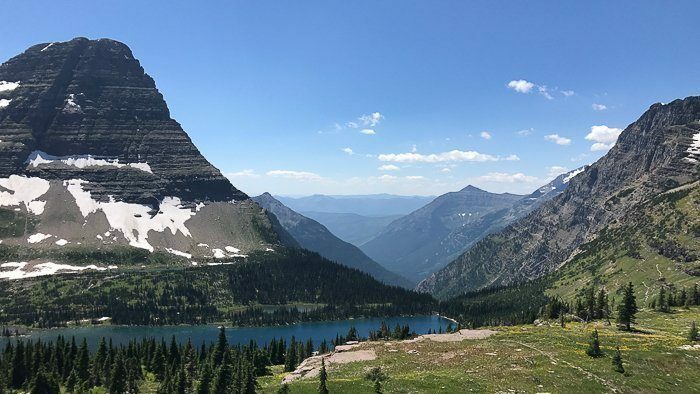 Traveling full time can sound like an unreachable dream if you cannot find a way to make money from home….or on the road, in a plane, overseas…etc. 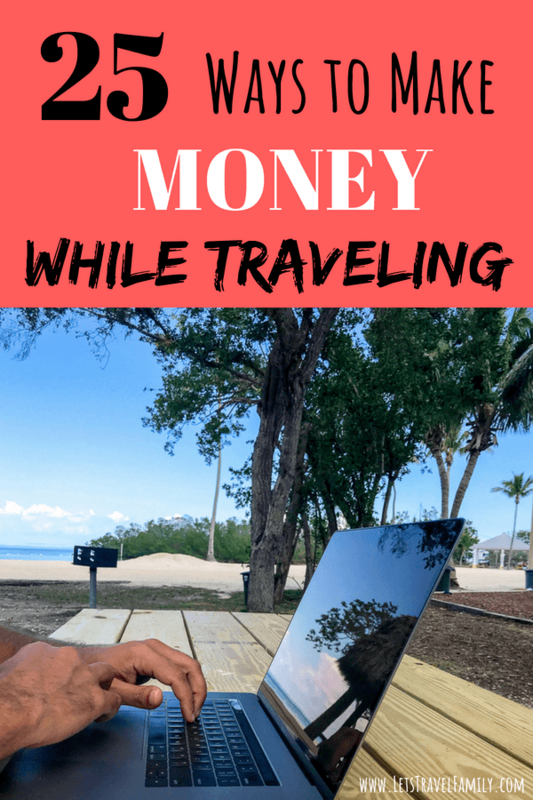 There are SO many ways to earn money online, however, there are also many other ways to make extra money while traveling if you are not a digital nomad or want to be one. Such as jobs you can do on the road. Check out our variety of creative ways to make money while traveling below. A great way to make money from home is teaching ESL online. I currently teach for VIPKID, a company based out of China that hires North American individuals with a bachelor’s degree in a related field, to teach English Online to students in China. Read all the details here to learn if this might be a good fit for you. Did you know that you can make money blogging? I do, and I know SO many others that do as well. Getting started is not that difficult. You just need to follow these simple steps to get going. The best way to make money online fast is to work for your current employer. 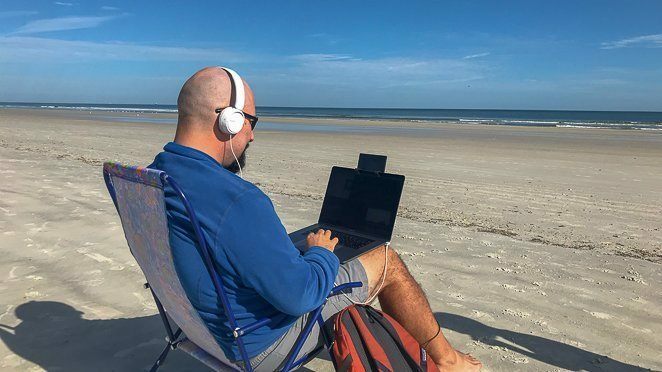 Have you asked your current employer if there is a way to work fully remote? You’d be surprised how many might be willing to allow it. Or, can your job involve you traveling? If it does, you may be able to ask to ‘stay a few days longer’ at each location to explore and live a semi-traveling lifestyle. It’s worth asking! Did you know that virtual assistants in the USA charge between $35-$50 per hour for their services? There are so many companies and businesses that are searching for help in areas such as social media management, e-mail marketing or organization, content creation or help writing blog posts, bookkeeping and more. How do you even begin to work as a Virtual Assistant? Check out this fantastic course that will walk you through each step so that are prepared to reach out and begin to make money now. If you have skills in writing great content, then you could become a freelance writer. There is a great course to teach you not only how to become a freelance writer, but how to pitch to businesses and make money doing it. Check out the course here. Provide freelance services on Fiverr. If you have skills in marketing, graphics and design, website development, content creation, programming or many other freelancing jobs, you can set up an account through Fiverr. If you are a nurse, or work in the medical field, there are many agencies that are desperate for traveling nurses and workers. There is a high demand for travel nurses and they often allow you to pick the city that you’d like to work in and offer not only great pay, but paid for housing as well. If you are someone who helps friends and family members regularly, then you could be great at providing support and direction as a paid life coach. Don’t give away your coaching skills for free; start a life coaching business. There are many kinds of coaches out there, so even if life coaching seems intimidating, maybe you can coach in finances, marriage, adoption, ADHD, etc. The list is endless. 48 Days Coaching Mastery is a fantastic program that not only trains you on how to successfully help others, but it also walks you through how to build your coaching business - no matter if you are a life coach or any specific area of focus. Dan, the founder of 48 Days, was kind enough to let our family set up camp on his land while we were visiting the area in our RV. His optimism and expertise in coaching inspired Tony and I to take our own business seriously and begin really persuing a life as entrepreneurs. If you have any interest in coaching, then I HIGHLY recommend checking out the 48 Days Coaching Mastery program. Tell Dan that Jill and Tony from Let’s Travel Family sent you! I asked several other RV families to share with you what they do to earn money while traveling full time. Read on to be inspired and learn how you can earn money while traveling. My friend Michelle makes beautiful jewelry for her company Hippie Hoopla and sells it on Amazon and Etsy. She travels full time in her RV with her husband and 2 children, and supports her family with her business. We started our online biz on Etsy and with our own internet store with the help of Shopify before we started traveling. Amazon started up a Handmade @ Amazon division a few years back and we applied. That gave us another ecommerce outlet. These are direct ship, meaning you order it and I fulfill it direct from my RV. This has many perks as well as disadvantages. Perks being the obvious, freedom to travel wherever whenever. The biggest downsides are scheduling package deliveries for my supplies. I can’t run to a brick and mortar store for the material I need for they are mainly international and I buy direct from suppliers in that country. Moving around a lot and often trying to get an international package can sometimes be a logistical headache. Also, trying to get packages out to customers can be a challenge at times. A loop hole in this is Amazon has a FBA (fulfilled by Amazon) program so we can send out pre-packaged items to their warehouse for them to ship direct to the customer via Prime. We also do POD (print on demand) with Amazon Merch and several other POD companies like Printful, Redbubble and Teespring. This allows us to upload files and create a listing for clothing, mugs and like merchandise without having to travel with inventory. There are several Affiliate opportunities we participate in like Amazon Affiliates and Redbubble. You can use outlets like Facebook, Instagram, Pinterest and blogs to bring your audience your favorite finds and you get rewarded a small percentage of their order total if they buy. Check out Michelle’s online store at Hippie Hoopla and look around. If you are up for supporting a full-time RV family’s business, make a purchase while you are checking it out! Use the check-out code ‘letstravelfamily10’ for a 10% discount on your entire first purchase! A friend of mine, Rachel Gray, works as an Usborne Books and More Sales Consultant while traveling full time in their RV. Here’s her experience with the company. With a background in Elementary Education, I have always been crazy about children’s literature and helping kids fall in love with reading. After years of loving and buying Usborne Books, I decided to join their company as an independent consultant. This company has proven itself in the past 20+ years and works hand in hand with parents, teachers and organizations to get high quality, innovative books into the hands of as many kids as possible. I’m able to conduct my parties online from the road by hosting Facebook parties or linking shoppers to my online shop. I work as much or as little as I see fit which works great for our ever changing schedule while on the road. Start up costs are extremely low and there are no monthly sales minimums which makes it a fantastic low-risk option for someone wanting to step into a new business. Feel free to browse around Rachel's online store here and show some support or learn if it might be a good fit for you as a way to make extra money. It is always so inspirational to meet other people who are able to earn a good income while pursuing their passion. Nate and Christian are passionate about health and wellness, and they have succeeded in their business that then allows them to travel full time with their 2 kiddos. We are Nate and Christian Axness, and even though we travel the country full time in our RV with our 2 children, we also work full time as health and wellness coaches with Young Living Essential Oils. We have been blessed to be able to travel while also earning a six-figure income! Most of our work involves coaching other leaders within our organization on how to effectively spread health, wealth, and abundance. We also travel to meet our team members face-to-face and supply them with whatever they may need, be it educational materials, health and wellness products, or even just some motivation! Beyond that, we also travel to special events and speaking engagements to inspire others to break out of the nine-to-five mentality and embrace a debt-free lifestyle. Interested in learning more about essential oils or the business opportunity with Young Living? Click here to learn more. Not everyone is made to work a full time remote job. Below I list a few options on how to make money from home or while traveling as a side hustle. Or, if you are looking for a simple way to earn extra money, then this can be a great fit. If you do any shopping online then you should sign up for Ebates now. It’s super simple. You just use the online extension that Ebates provides when you do your regular shopping at places such as Kohls, Walmart, or even Groupon. You then earn 1-8% cashback into your account. Downsizing can feel amazing! When we began selling our furniture and and extra kitchen items in order to travel full time, I felt a weight being lifted off my chest. I not only was getting rid of more ‘stuff’, I was earning money doing it! Purge and sell some of your unneeded items to make a few extra dollars. We have used Swappa to buy used iphones and laptops to save money, but it’s also a great place to SELL your technology devices. If you have any laptops, cell phones, or other devices you’d like to sell then I’d recommend using Swappa. Check it out here. Offer your services at home, a campground, hotel, Airbnb or anywhere that you are. You could even build a website with testimonials of your services so that when you travel to a new location, you can reach out to people in the community and direct them to your website to show your rates and experience as a pet sitter or dog walker. Offering to babysit or nanny children in the area that you plan to travel is a simple way to earn money. When our oldest 2 children were very young, I babysat 2 other children during their summer vacation. It easily earned us an extra $300 per week. Swagbucks lets you earn points called SB for completing surveys online, watching videos, searching the web. You can then exchange the SB points for gift cards and cash back. It's one of the quick ways to make money. There are many companies and bloggers that need social media management. It’s not as simple as making a post on Facebook or Instagram, as you do need to learn the strategy behind the social media platforms you work on. However, once you understand it and grow your skills at it, managing someone else’s social media accounts is one of the ways to make money from home or while traveling. If you are not a digital nomad, or you do not want to earn money online but rather doing something ‘hands on,’ then keep reading. Below is list of creative ways to earn money while traveling. Did you know that you can work as a camphost, campground maintenance person, grounds keeper, or many other jobs at campgrounds? In exchange for working about 15 hours per week you often receive free camping for the week and often an hourly rate too! Check out Workampers News and job board to learn more. If you plan to stay in a new destination for a period of time, then seek out a part time job such as bartending, waiting tables, working at a hostel or hotel, construction work or more. If you have talent or experience in repairing RVs or homes, then offer your services where you plan to travel to. Putting a magnet or vinyl on your vehicle to promote it is a great way to get calls. Often times these jobs are seasonal and will only require you to stay in one place for a short period of time. Sell items that you found discounted at a store on Amazon. Or, sell your own products on Amazon to earn money while traveling. Many people have learned how to earn a full-time income doing Amazon FBA. Or what is called retail arbitrage. Do you want to learn more about it? Then check out this great website and course that will walk you through everything you need to know. Sell items that you make on your own. From quilts and homemade jams to Kombucha and sourdough bread. You could set up a stand at local farmer's markets as you travel or even at the end of your driveway. Have you ever wanted to improve your photography skills? Did you know that many travel companies will pay hundreds of dollars for rights to 1 great photo of a destination? If you want to improve your photography skills so that you can work toward earning an income as a photographer, then ​check out these great courses and resources..
Do You Dream Of Being A Digital Nomad? If your dream is to travel more, or even travel full time, then make it happen! There are many ways to make money. I have only touched on a few here! Ask family or friends, think creatively, and make it happen. Do you have other ideas? I would love to learn about more, so share them in the comments below. Related Post: How much does it really COST to full-time travel?